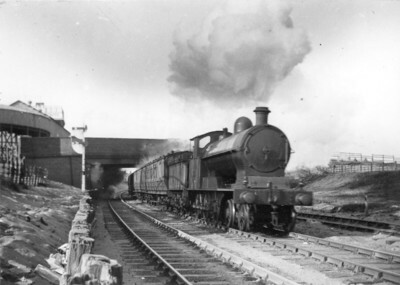 George Whale’s 19in Goods 4-6-0 appears to be in LNWR days. This could be on the Great Central Railway, as the distant signal arm is painted in the later GCR style: red with a white chevron. So somewhere with LNWR running powers - around Stalybridge perhaps? Do you have any idea how many goods shed there are with ramped access? Two days pointless searching at least.